Prime real estate comes in many shapes and forms. Bill Gates revolutionized the way business was done in the 21st century by discovering the next track of prime real estate. He writes these reflections in his book, ‘Business at the Speed of Thought, “Business is going to change more in the next ten years than in the last fifty… these changes will occur because of a disarmingly simple idea: the flow of digital information… the internet will create a new universal space for information sharing, collaboration, and commerce… that together they will radically transform our lifestyles and the world of business.” The dawn of the information age began the day Bill Gates announced to the rest of the business community that his intention was to sell information in the form of software. At that moment the rules of business changed. As one of the top three wealthiest people in the world, it would be simple to look back and see that his ideas came about just at the right time. He ushered in the information age by filling the void with software that every person and business would need if they were to function in the twenty - first century. Successful entrepreneurial ideas are created in a perfect storm. A perfect storm matches the right idea at the right time. The bigger the storm or problem the idea solves the bigger the proportion of success. The next biggest entrepreneurial idea of the future will be no different. It will need to solve the biggest problem in the twenty - first century. Is it obvious that right now there’s a need for people to identify the biggest problem in their life? Solving the biggest problem of our time is actually a type of paradox. Just as the invention of software made the internet accessible to the common person was right in front of our eyes all along, the next biggest problem is right in front of our eyes too. The biggest problem of our time involves prime real estate too, but not the type you are thinking about. The financial, political, and educational institutions, along with the media have actually influenced the culture on buying prime real estate. Those institutions have reaped a windfall of debt from the masses with the use of fractional reserved banking via digital money creation, making it possible to buy this prime real estate. Leadership expert, Orrin Woodward calls this, ‘The Financial Matrix.’ You see, the entire culture has been seduced into buying this prime real estate with the use of easy credit and a solid education that induces us into consumer debt in the form of mortgages, car loans, student loans, and credit cards. Here’s the twist. Over the last fifty year’s people have been influenced into buying prime real estate next to a beautiful mountain range. At first, it appears to be surrounded by trees and fresh water, in close proximity to all the amenities you could ask for in short driving distance? What if you could qualify to buy it with almost no money down? Sounds like a pretty good deal! When do I move in? Just wait. Imagine that you’ve made the move. You walk out on your deck. You take your first look at your new surroundings. You smell the fresh air and you look up at the tree line to the top of the mountain and what do you see? “What?” “An active volcano!” How’d you get suckered into buying this when you didn’t even see it? Is it because everyone is buying the same prime real estate? With $217,000,000,000,000 Trillion dollars in global debt and over $20,000,000,000,000 Trillion of that in US debt, we’ve positioned our people next to a ticking bomb! 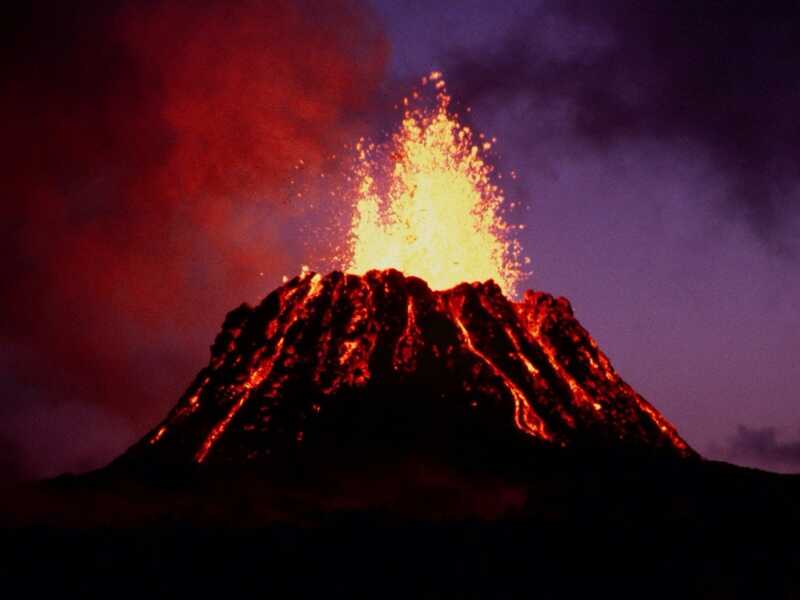 It’s not a matter if this volcano will erupt, it’s a matter of when it will erupt. Similar to Bill Gates recognizing that the next greatest entrepreneurial idea would be to find a way for common people to have access to the internet, the answer to the ticking bomb of debt is real estate relocation. Just as the lack of financial literacy placed the population in this position of peril, people can learn financial literacy to relocate away from the active volcano. Solving a problem made Bill Gates one of the wealthiest people on the planet. The next biggest problem will be to produce information that helps people relocate who are now living under a smoking volcano. The institutions that are reaping a financial windfall at our expense shouldn’t be expected to help us any time soon. Protection will happen only when an entrepreneurial idea spreads financial literacy and relocates people to safety. Similar to ‘Windows’ where the common person has access to the internet, information systems can teach financial literacy strategies. We need to be aware that old information is in actual competition for our thinking and secure the right information by using a model that Gates describes as, “sharing, collaboration, and commerce.” One entrepreneurial idea can incentivize people to solve the problem and gain access to right information. The right information acted upon can help the people relocate out of harm’s way.